Done in December, the Lantern Parade marks the end of classes and the beginning of the Christmas break for U.P. students. Lantern Parade’s history begun in 1922. Colleges and other U.P. 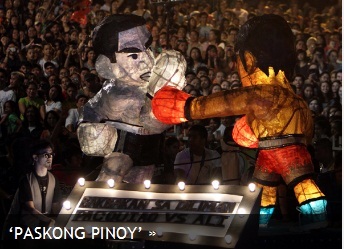 units compete with gigantic floats and lanterns in a parade around the Academic Oval culminating at the Quezon Hall.